By Jason Foumberg, with contributions from Abraham Ritchie, Bert Stabler, Pedro Velez and Meredith Wilson. What is contemporary Chicago art? What is a contemporary Chicago artist? These used to be dirty questions, ones you didn’t want to answer because they could pin you down, box and tag you, and file you away. Remember Chicago Imagism? Yeah, we can’t forget it. It’s enough to say that contemporary Chicago art is not a thing; it is an ecology. In other words, it is alive, and its diversity keeps it thriving. 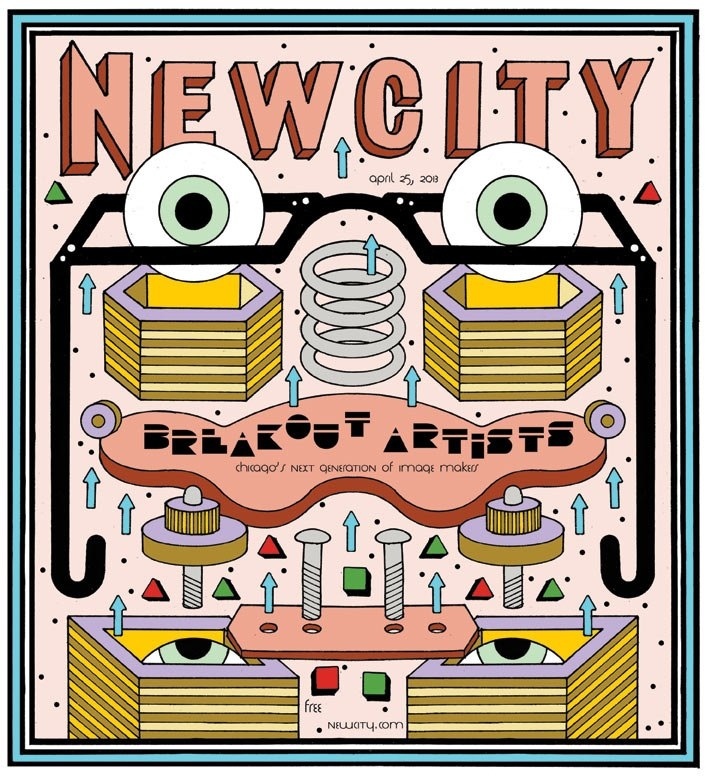 This is our tenth annual selection of Breakout Artists. Each year, a handful of artists catch our eye—at exhibitions, in studios, or on the web, and we recognize something Chicago-ripened about their way of being and making. We want to press pause on the streaming channel of contemporary reality, and say, hey, this is what right now looks like. We want you to see it, too.